Hvar – for an exquisite island vacation | Croatia4me - Jouw vakantie naar Kroatië begint hier! Beautiful beaches, a mild climate, lavender fields, and cultural heritage maks the island Hvar splendid holiday destination. The island is about 70 km long and is located south of the coastal town Split, you can reach the island by ferry. 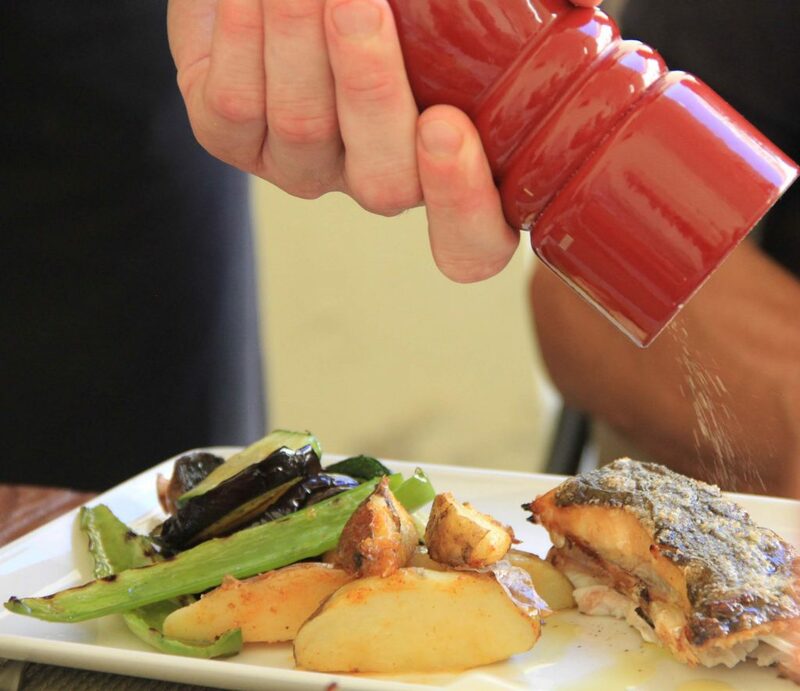 There is plenty to do and see on Hvar besides sunbathing on it’s beautiful beaches, and of course the local cuisine is excellent with fresh local vegetables, baked fish, shrimps, and locally produced olive oil and wine. This town with the same name as the island is one of the best visited towns on the Dalmatian coast due to it’s cultural richness. The three main buildings of the town form three sides of the main square, the fourth side is open to the sea – this square is the main centre of activity in town. There is the renaissance St. Stephan Cathedral with a 17th century clock tower, the palace of Hektorović, and a late 16th century arsenal. Ofcourse, you can shop, sit at a cafe or have a nice dinner. About 2400 years ago Greeks from the island Pharos sailed along the Dalmatian coast to the island Hvar where they founded the town Faros, which is nowadays called Stari Grad. The best known building in Stari Grad is a fort build by the Croatian renaissance poet Petar Hektorović (1487 – 1572), he loved poetry and combined this with his love for nature. This was his summer residence as he also lived in his castle in the town Hvar. 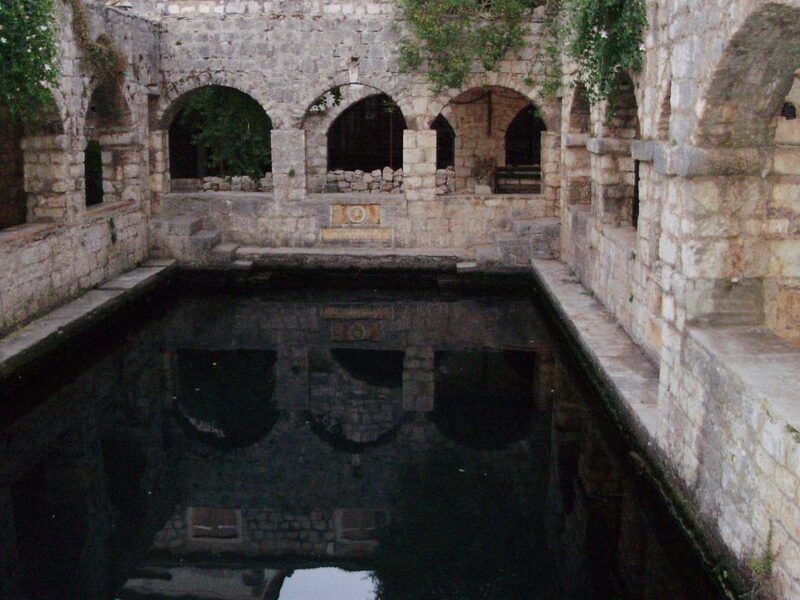 In the fort are a fish pond and dove-cot with on the walls inscriptions in Latin and Croatian. All this is concealed behind non-inviting and formal walls, however when inside you can see that it is worth a visit! The Petar Hektorović’s Tvrdalj is open for visitors from May to October. 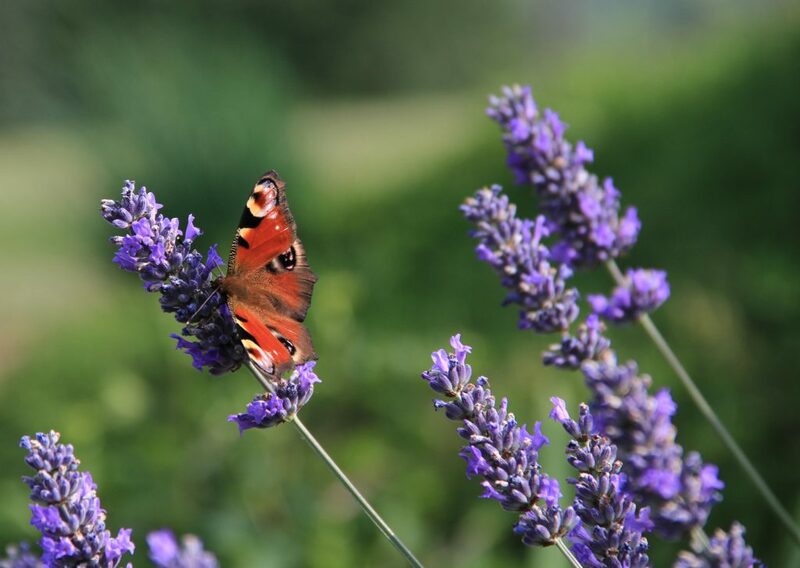 Known for it’s lavender fields that bloom in June, the rest of the year you can buy all kinds of products made of lavender. The town is dominated by the 16th century fortress church of St. Mary. 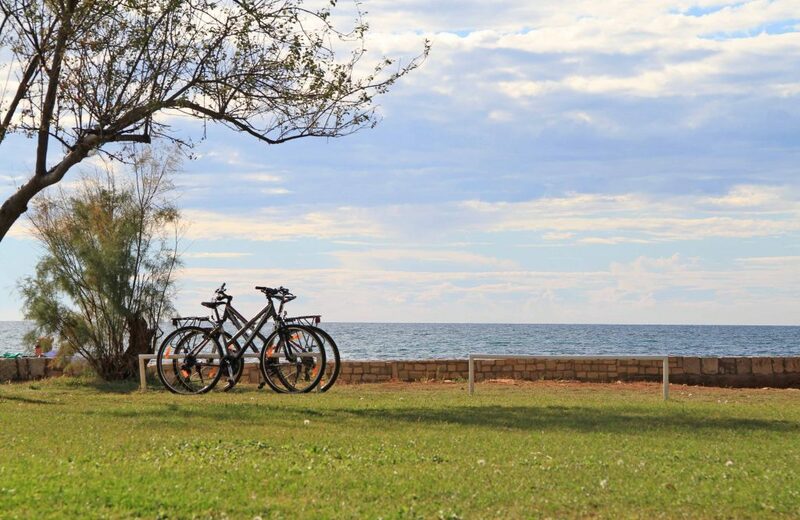 The province of Split-Dalmatia has made a website with all kinds of bike trails, you can choose four different regions, amongst which is the island Hvar with 13 different trails from easy to difficult. 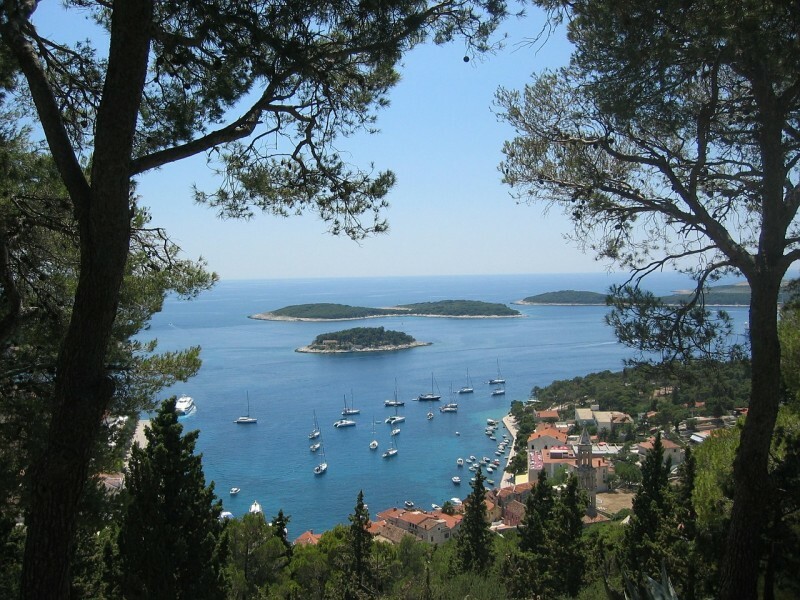 Hvar also offers some hiking trails around the small towns, along the coast and through the interior of the island. In the southern part of the island you find a prehistoric cave – the Grapčeva cave. In the cave items from an ancient culture were found, such as the oldest image of a boat in Europe on pieces of pottery. This cave has stalactites, stalagmites and contains a large and a small hall, with numerous less accessible branches. The simplest way to get to this cave, which lies 239m above sea level, is by car from Jelsa to Humac and then take the field path to the cave.